Jesse Warn directed the episode written by Robert Rovner & Jessica Queller. Air Date: Monday, June 18 (8:00-9:00 p.m. ET) on the CW. 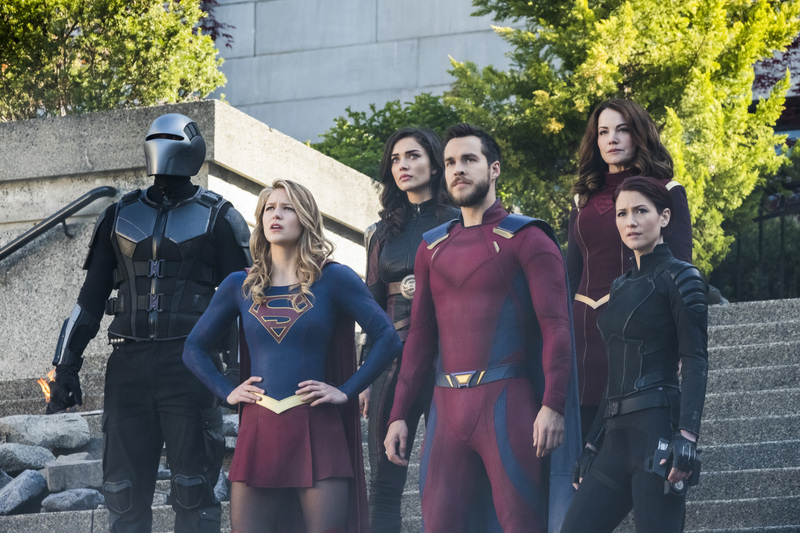 Supergirl -- "Battles Lost And Won" -- Image Number: SPG323a_0112.jpg -- Pictured (L-R): Mehcad Brooks as Guardian, Melissa Benoist as Kara/Supergirl, Amy Jackson as Imra Ardeen/Saturn Girl, Chris Wood as Mon-El, Erica Durance as Alura Zor-El and Chyler Leigh as Alex -- Photo: Katie Yu/The CW -- ÃÂ© 2018 The CW Network, LLC. All Rights Reserved.